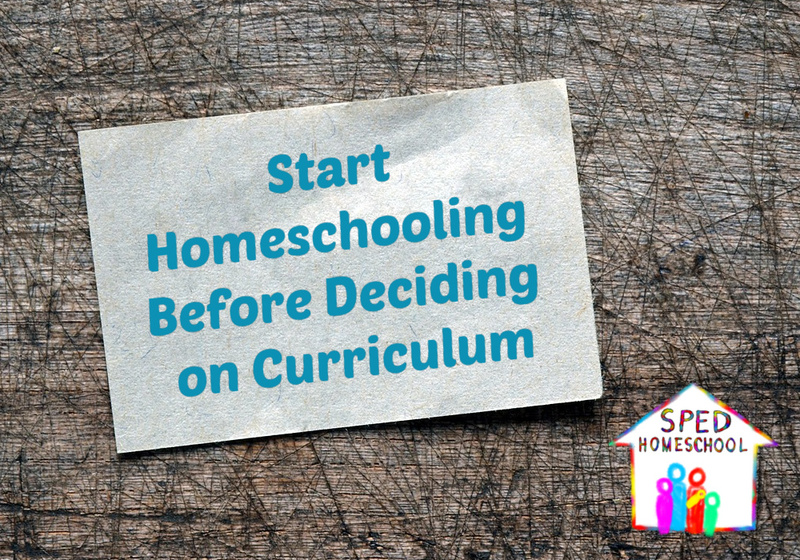 Other than choosing to homeschool, the biggest decision we have to make is choosing homeschool curriculum. This decision is filled with a lot of stress as we decide what curriculum is “perfect” for our child. 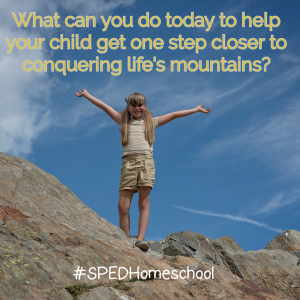 Here are some thoughts from the SPED Homeschool team to help make that decision a little bit easier for you! Initially when I started homeschooling I loved the idea of using living books such as Sonlight, but after several years and more children I needed some things that were more independent. After that I tried everything with my first child trying to figure out what worked best for both us. It took me several years of learning about learning styles, teaching styles, state requirements, and the freedom of choice that goes with those things. Walking into my first vendor hall was completely overwhelming. The options are endless. However, after 20+ years of homeschooling, I now choose homeschool curriculum based on the biblical worldview that will work for all of my students at the same time, such as Mystery of History. Or I like options that cover multiple subjects at the same time like Notgrass. Efficiency is my goal now as we have life to live and ministry to do as well. 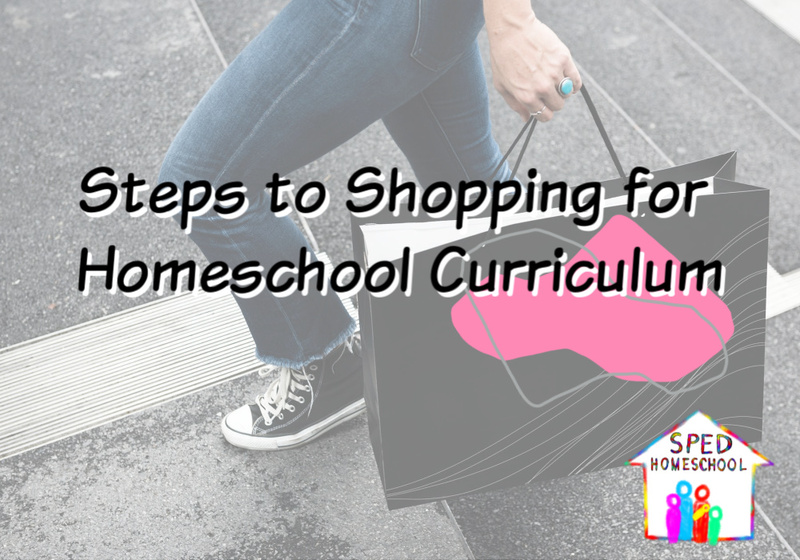 The journey of how I picked homeschool curriculum has changed over the years. In Pre-K for my girls, I did self-made units. Even through Kindergarten and when my son joined homeschool, I went to more group-type work for science, history and Bible studies. We have enjoyed My Father’s World for that. The thing that I love most about it is that it is easy to modify in order to accommodate my child’s needs. It is structured, but also classical. I have in recent years made it my own and added and subtracted as I felt. I add videos and audio books and hands on activities. For individual work, we use all kinds of curriculum. My kids are hands-on and visual for the most part. We use Math-U-See, Spelling-U-See, Touch Math, Handwriting without Tears, Memoria Press, Little Giant Steps, Diana Craft, and Equipping Minds. My three kiddos are very individual and need their own way. No one child fits in a box, and neither does their curriculum. 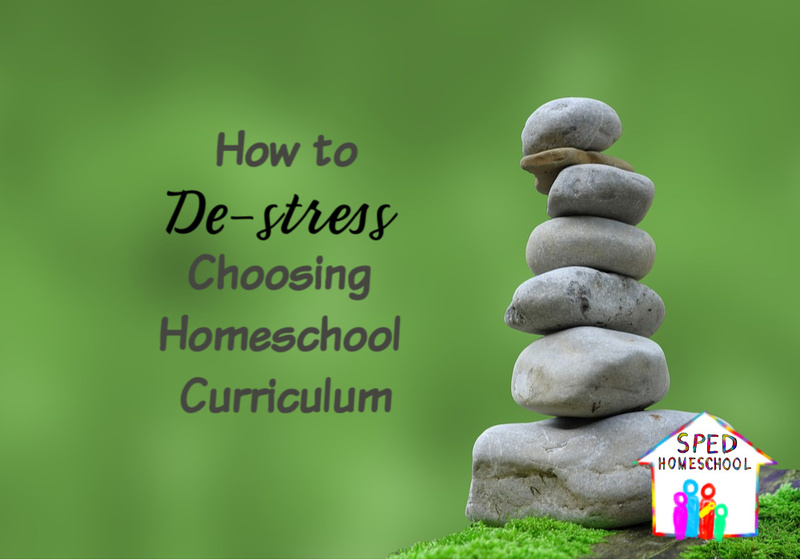 Choosing homeschool curriculum can be daunting with so many choices available. What I have found really helps me is when I start with my child rather than the curriculum options. My first step is to look at my child’s skills and ask “what is the next step?” I then look at my specific goals and vision for my family and for that particular child. By asking these questions first, it narrows the choices. Each year, I start that process over again because I’ve learned that my kids change: their needs and skills change, their interests change, and their learning preferences have even changed over the years. Some curriculum options have passed the test year after year, while other curriculum is constantly changing. For instance, we have loved Tapestry of Grace from the very beginning because it allows everyone to be learning the same material, it fits our worldview, and it provides a lot of flexibility since it is designed to provide you options for customizing your own study. It also allows for certain subjects to be integrated into the history studies and provides ideas for all learning styles. The flexibility of the curriculum has made it a great fit for us, though each year I may tweak how we use it or the choices I make within the curriculum. Language arts, however, has been an area where I’ve supplemented and changed quite a bit, even disregarding grade level as I look at what specifically needs to be tackled next and what curriculum choice tends to deal with a specific area best. 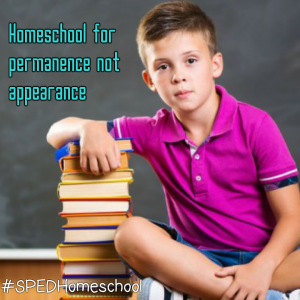 A lot of choosing homeschool curriculum is a matter of trial and error, experimenting with what works and doesn’t work. There is no perfect curriculum, and there isn’t any curriculum that is a complete failure; you learn something from each choice you make. 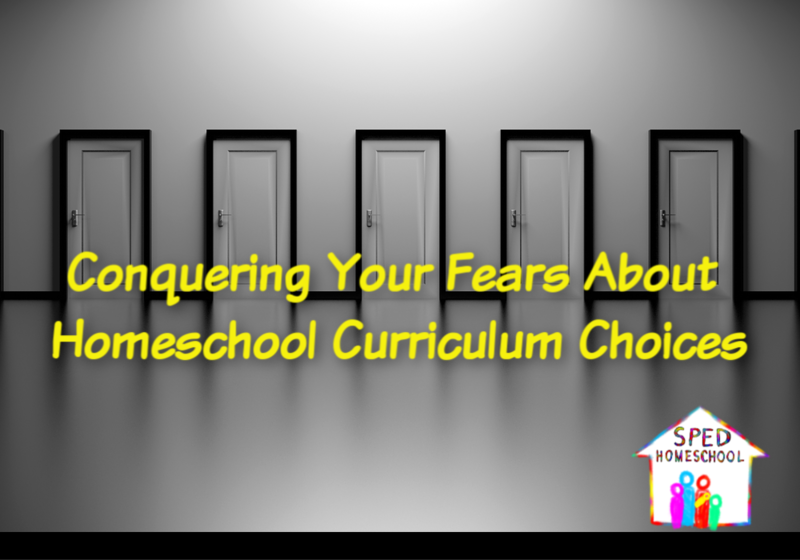 As you can see, there is no “right” answer when choosing homeschool curriculum, but don’t let that overwhelm you! You are never going to “fall behind” if a curriculum doesn’t work out. It is okay to pick a curriculum and find that it is not a great fit. That just means that you have learned something about your child, and that is part of homeschooling! Take your time, try different approaches, and don’t be afraid to jump right in!